Back in 1994, I was rather enjoying student life, and to fund this I had a few part time jobs. It’s sad to say that all of them were related to computing, and specifically the Commodore Amiga. 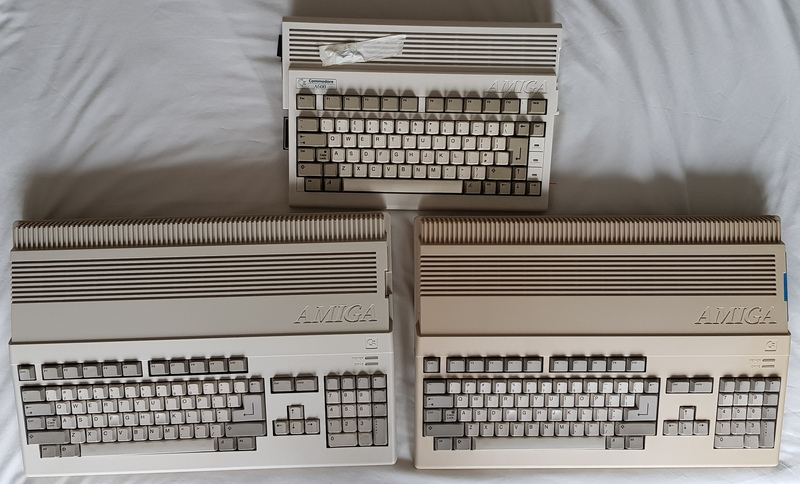 I wrote articles occasionally for CU Amiga and Amiga Computing, normally around the more productive use than just gaming, and worked in a shop part time selling mostly Amiga stuff. This shop had a few graphics tablets in from a small company in Watford called Micrograf International, and there were drivers for the Atari ST, Windows 3.0 and 3.1, but not the Amiga. I took it upon myself to get in contact and see if I could rectify this. After a quick chat with Manas Heghoyan, he agreed to provide the protocol information I needed and I said I’d give it a go. If I remember correctly, this was written mostly in half term, and I learnt how to write system friendly(ish) code, implementing the driver as a Commodity within Workbench 2 or higher. I drove to Watford to show Manas the result, along with an installer I’d hacked together with the Commodore Installer language (I hope (really hope) you like brackets (lots and lots)), and a manual knocked up in Pagestream2. He liked it, a lot, and we agreed a payment which seemed a lot at the time to me, and was certainly reasonable for the amount of time it took.